Cordia Y. Anderson-Hopkins is a clinical social worker with a background in behavioral health serving both children and adults. 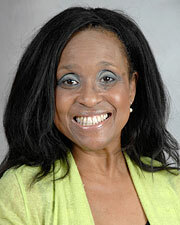 She has provided therapy services in the educational, medical and psychiatric settings. She received her Master’s Degree in Social Work from the University of Houston and has been providing therapy services for over 24 years. Anderson-Hopkins is a music therapist and clinical social worker. Her interested include being an advocate for her patients and providing hope to the underserved. She is originally from California. Anderson-Hopkins has two children, three grandchildren and a Shih Tzu named Cooper.